Minnesota's Premiere Garage and Closet Organizers! Minnesota's Premiere Closet and Garage Organizers! A smooth running, well organized home is not an impossible task to accomplish. 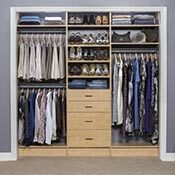 The thought of organizing your home can be daunting, but our team at Northland Custom Closet & Garage have the experience, tools and know-how to install a complete organization system that helps you get and stay on top of a neat and tidy home. Our services are tailored to your individual style to match your lifestyle and home decor. 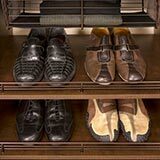 Whether you are renovating your home for your own pleasure or polishing your home’s look to add value for an upcoming sale, our custom closet and garage organization systems are the best quality available. 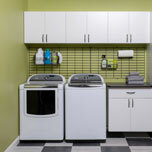 Make Your Home a Northland Home with Our Innovative Design for Closets, Garages, Custom Cabinets and More! We utilize our innovative 3D design technology to custom build your organization system. Our products are measured and tailor-made to be the perfect fit in your home. With all the organization accessories you could possibly need and adjustable storage systems, you will be receiving products that last are functional and durable! 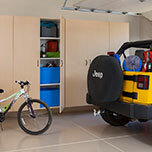 Custom Garages and Closets from Northland withstand the test of time and hold their investment value. 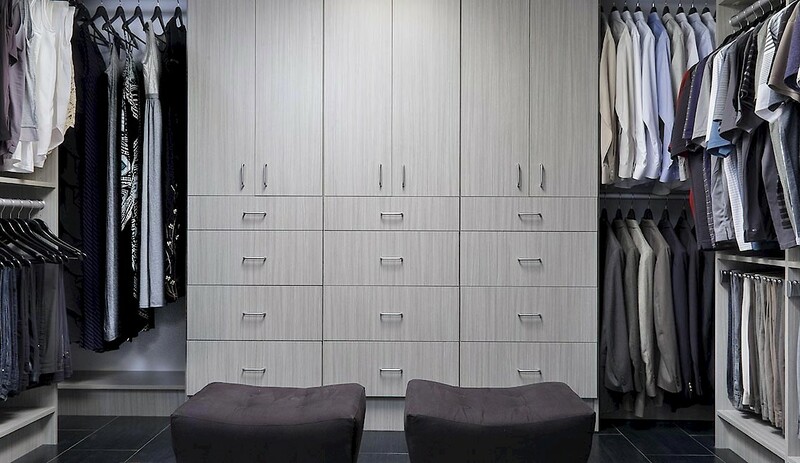 We have got your organization needs covered at Northland for all your closets including kid's closets, small closets and walk-in closets! 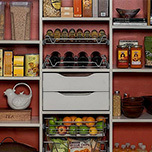 Our custom organizers will whip your kitchen woes and laundry room foes into shape in no time at all! Custom shelves and cabinets tailor fit to meet your needs. From floating cabinets to custom garage shelves and overhead storage, we are able to create a space for all your tools and belongings. With custom shelves, drawers and cabinets your home office will be the center of your home's productivity. Check out our home office cabinet and shelf designs! Don’t miss out on our free designs, consultations and estimates! Click here to work with the best organization team in the Grand Rapids, Minnesota area!